Fiat's accessory brand Mopar has unveiled a range of extras for the new Fiat 500X crossover. 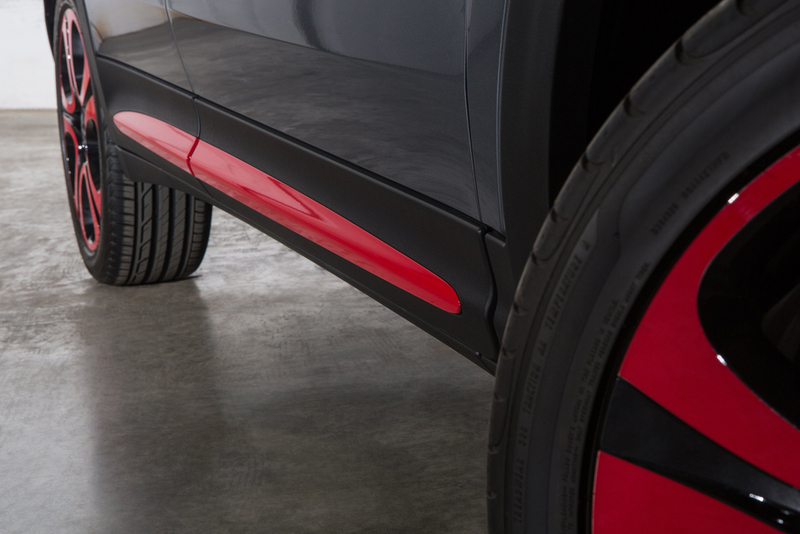 Over 100 accessories have been designed specifically for the 500X crossover to enhance its functionality and allow customers to adapt the look of their vehicle to their particular personalities. Unique Mopar 18-inch alloy wheels are offered in a range of colours and aesthetic treatments, including machined silver with white recesses, red wheels with black recesses and all-black wheels, priced at £816 for a set of four. Door mirror fairings are offered in nine colour options for £61 a pair, while door moulding inserts are available in five finishes from £214 a set and there are also a range of original decals for the roof, bonnet and upper and lower body sides in a variety of colours designed to coordinate with other accessories in the same colour. There are six "Xtra Pack" kits available which combine a selection of options in single, great-value bundles. The kits - offered in white, red, bronze and beige - feature matching bonnet/roof stripes, mirror fairings and door moulding inserts and are priced at just £305. For those who prefer the classic look, the Chrome Xtra Pack (Pop, Pop Star and Lounge only) includes chrome-effect mirror fairings, door moulding inserts, fog light trims and a chrome bonnet moulding, while the Black Xtra Pack includes black bonnet and roof decals and black mirror caps but excludes door moulding inserts as the mouldings are already black. Functionality is enhanced by a range of roof systems, from the 360-litre Freebox (£259) to sports equipment systems (from £112). The Winter Xtra Pack, for example, combines custom-fit roof bars with an adaptor capable of securely and safely carrying four skis or two snowboards as well as a moulded cargo bay protector for snow-covered boots and clothing. The Summer Xtra Pack consists of the same roof bars combined with a bike carrier and moulded cargo area tray and is currently available for £235, a saving of £78 compared to the price of buying the roof bars (£137), boot protector (£40) and bike carrier (£136) separately. A detachable tow bar (£360) with wiring systems (from £168) and a towbar-mounted two-bike carrier system (£613) are also available, while a variety of key covers (£43 per twin pack) and carbon-look mirror fairings (in white or black from £120) round out the options currently available for the 500X. 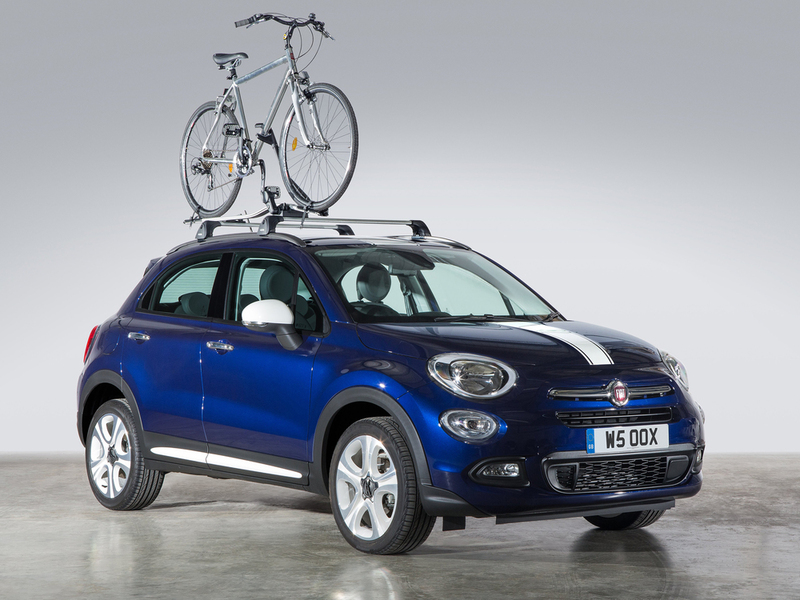 The Mopar 500X accessory range is available to order at Fiat dealership throughout the UK. 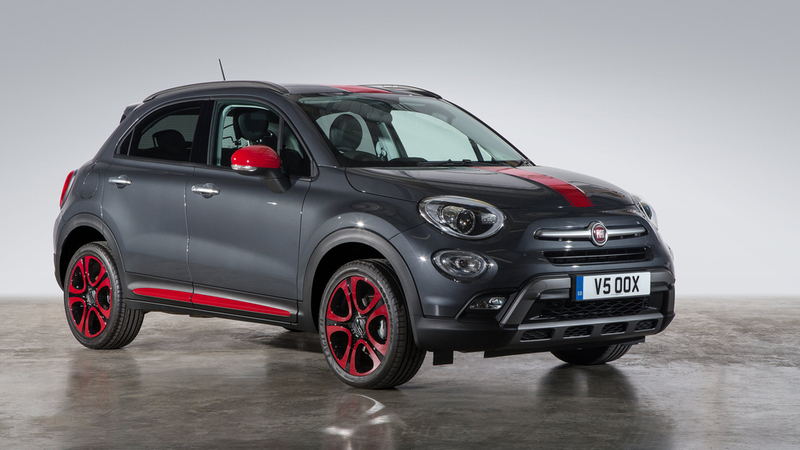 The Fiat 500X range starts at £14,595 OTR for the entry-level 1.4 Pop.